Back in elementary school, I deeply resented the fact that I had to memorize all of my multiplication tables. “Why can’t we just use a calculator?” I’d inquire. If you felt the same, I’m sure you can remember your teacher’s response. Thanks to companies like Apple and Samsung, we do have a calculator in our pocket. Smartphones have all but replaced the standard scientific calculator. But there is one type of calculator they haven’t replaced – graphing. Graphic calculators are capable of plotting and solving simultaneous equations. When you’re working with variables, you can’t always get a clear answer. To address the problem, graphing calculators will plot the answer along an X and Y axis. Today, graphic calculators are a requirement for many post-secondary mathematical courses, and incredibly helpful in high school math. If you’ve been asked to buy a graphic calculator for a class, or just to help with some self-study, you might not know which one to get. You could just get the bare minimum, but you may be forced to replace it the following year. Today, we’re going to look at the three best graphic calculators on the market. Afterwards, we’ll help you choose the one that’s right for you. Ten years ago, Texas Instruments released the TI-84 Plus Silver edition. Although that calculator is still sold, the most recently updated TI-84 brings on a lot of new changes. If you’re shopping for a graphic calculator, Texas Instruments is probably the first brand you’ll be looking at. Their calculators are taught in most schools, and the TI-84 Plus keeps the same basic key layout as all their previous calculators. Since they are one of the most well-known graphing calculators on the market, we had no choice but to make the TI-84 Plus the first calculator we tested. If you’re shopping for a Texas Instruments TI-84 Plus, you’ve got a few options available. Although the silver edition had more memory than the current version, today they are roughly equivalent. The CE edition comes in a flash case, but offers very little beyond a color screen. If you’re not too concerned about how your . While the silver version is going for a chromed outlook, the plus goes for a more reserved black and white exterior. Underneath it’s slightly understated exterior is the same powerful chipset that runs their entire line. When you think about it, a graphic calculator is really just a little computer. This particular one has a powerful set of hardware that can run several pre-programmed applications, or you can create your own. It does this with 480 KB of internal storage, and 24 KB of ram. This might not seem like very much, but when you consider that your typical calculus equation only uses a handful of bytes of memory, you’ll realize that it’s quite a lot. In fact, you’ll find a number of pre-loaded applications that can complete complex equations using a number of variables, and still only use a tiny fraction of the available memory. Another key feature of the built-in memory is that it’s programmable. 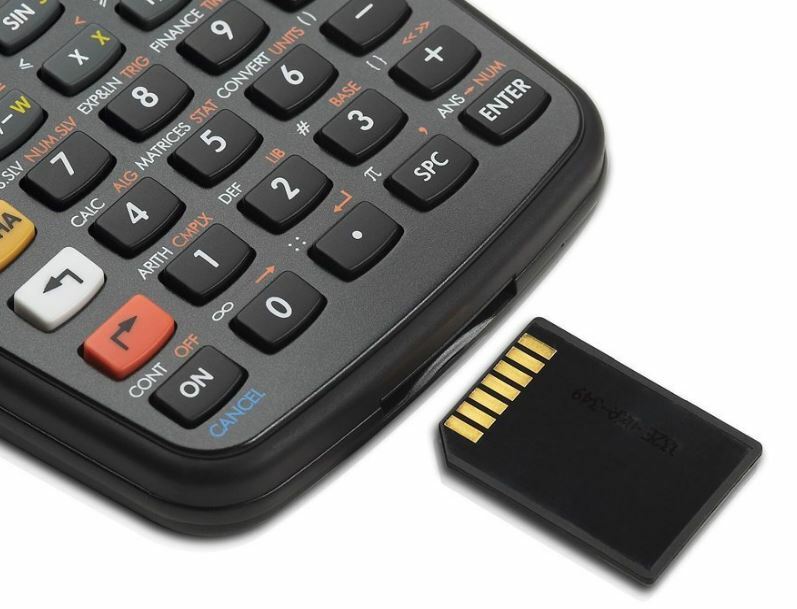 It uses a standard USB cable, allowing you to draft out your programs on the computer and run them on the calculator. The display has a resolution of 96 x 64, which is just enough to chart complex equations. For most students, a Texas Instruments calculator is their handy little assistant during their first foray into the world of advanced mathematics. For many, this can be quite a daunting experience. Even though this is a simple device, Texas Instruments has carefully designed their software to make the transition as easy as possible. The most important software feature is what TI calls “mathprint”. Often, fractions and equations require special markup to properly enter into software. This is incredibly frustrating when you’re writing them down in proper notation, but need to learn an entirely different format just to use their calculator. But the TI 84 Plus makes sure to display everything on the screen exactly the way that it’s seen on paper. This makes it much easier for students to pick up the proper notation. 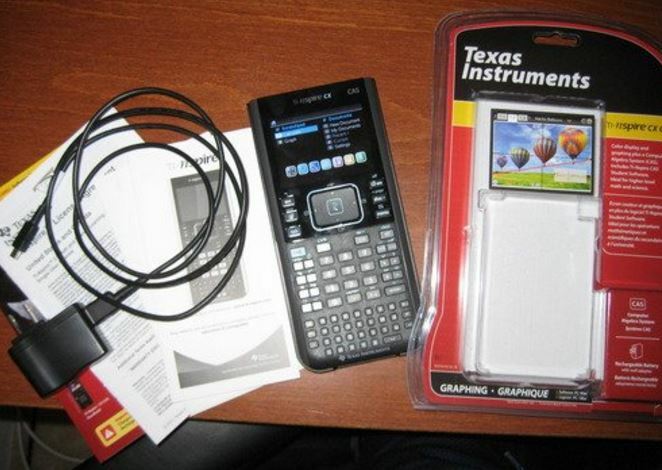 Aside from general use, Texas Instruments included 12 built in programs that help with geometry, inequality graphing, data collection and analysis, and calculus. Texas instruments is very involved in the community, and many of these programs are used by teachers as part of their lesson plan. That’s why they’re not just simple utilities designed to learn new mathematical equations, they’re powerful learning tools that can assist your education in ways that just aren’t possible with other models. The TI-84 plus is, by far, the most widely accepted graphing calculator in modern education. This especially applies to high school and post-secondary education, although some advanced mathematics and engineering require a higher end calculator. Although some of the functions have been recreated through cellphone apps, most examinations do not allow smartphones. In fact, many exams require that you use a specific approved calculator. 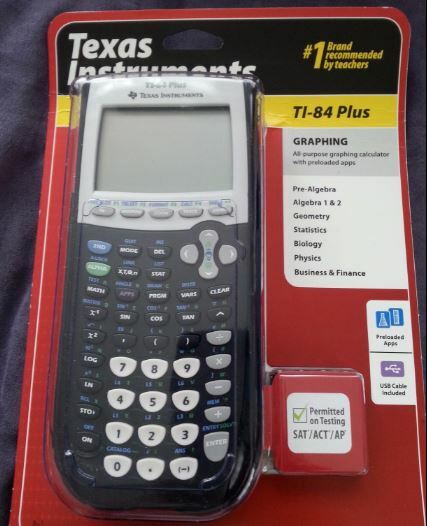 Fortunately, the TI-84 Plus is approved for use in the PSAT, SAT, and ACT college entrance exams, as well as the AP, IB and AP tests. 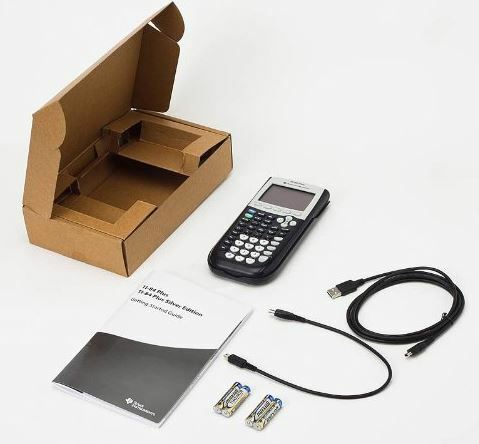 We’ve already shown you how much of a major player Texas Instruments is in the graphing calculator marketplace, but they’re known for much more than just tradition. 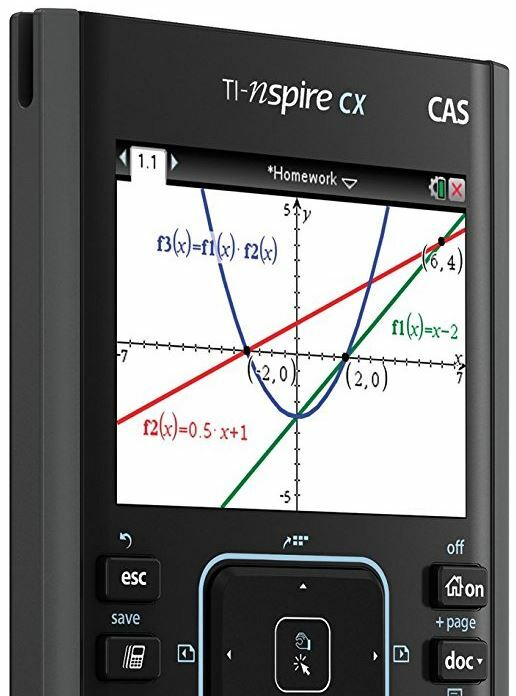 While the TI-84 is a more modest upgrade to a commonly accepted platform, the Nspire CX is in an entirely different world. 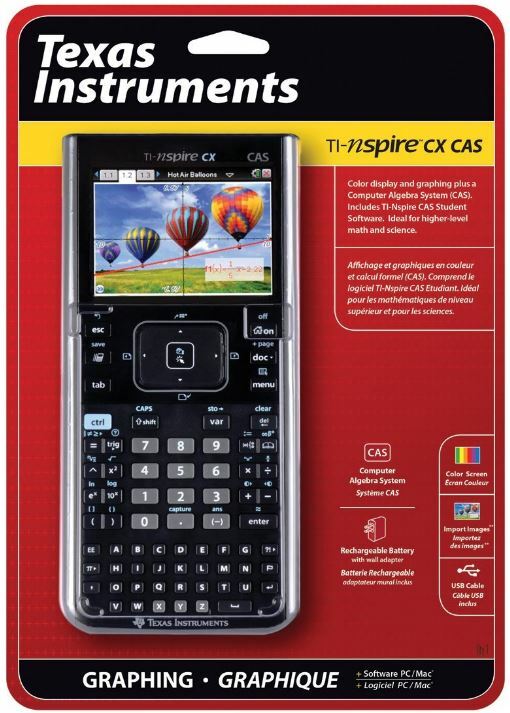 Even though the Texas Instruments Nspire CX CAS Graphing Calculator still retains the look of its predecessors, at first glance we knew that this model was packing a serious punch. The first indicator was its massive color screen, and sleek directional pad placed prominently front and center. Below the typical scientific function buttons and number pad, the Nspire platform gives you an entire qwerty keyboard on the base of the calculator. The Nspire isn’t just a pretty face, it’s stylish and modern external hardware is backed by a powerful ARM processor running at 132 Mhz. Considering that the platform started out on a Zilog Z80 processor (the same one used in the world’s first portable computer!) it’s difficult to comprehend just how much more powerful this chip is. ARM is the same architecture powering our smartphones and tablets, so this truly is a calculator that has been updated for modern expectations. It’s got 64 MB of RAM for program execution, and 128 MB of flashable ROM. Perhaps the most impressive piece of hardware on the calculator is the 320 x 240 16 bit color display. This screen allows the calculator to be used with spreadsheets, graphics, and much more. Although it’s not quite as sharp as a retina display, you’d need to be running a pretty advanced application before you find yourself limited by the screen. The Nspire CX CAS runs its own custom operating dubbed Nspire OS 4.0. In many ways, this software is similar to their older operating system, but with several advanced new features. Because it uses a modern architecture, programming the calculator is much easier. This means that the build in programs support features like graphing in 3D, editing spreadsheets, working with databases, and running educational software. There is a massive library of free software available for it online, making this the calculator of choice for many advanced courses. 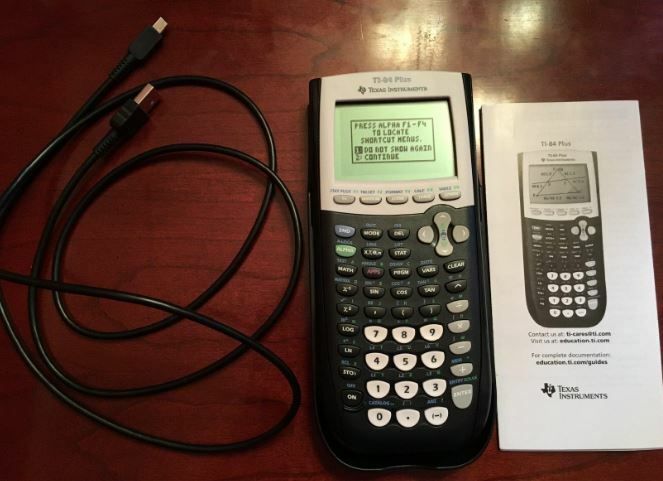 This calculator is not the cheapest on the market, so very few high schools list it as a requirement. 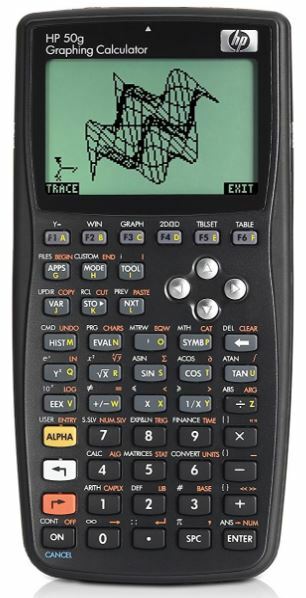 That being said, it’s capable of performing everything that the TI-84 Plus does, with much much more. When you’re getting into advanced courses, you’ll find that this calculator is quickly becoming a requirement. As Nspire OS picks up steam, you’re likely to see this calculator being used more each year. HP has become a household name over the years, having faithfully produced reliable hardware for businesses and consumers alike. 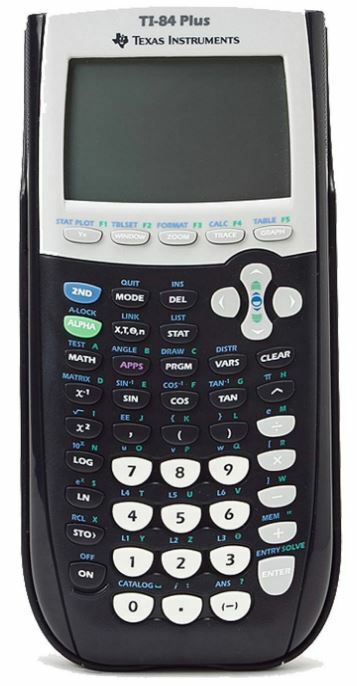 The HP 50G is the direct competitor to the TI-84 Plus, and is sold significantly cheaper. If this calculator meets our standards, it could be a great way to save a few dollars. 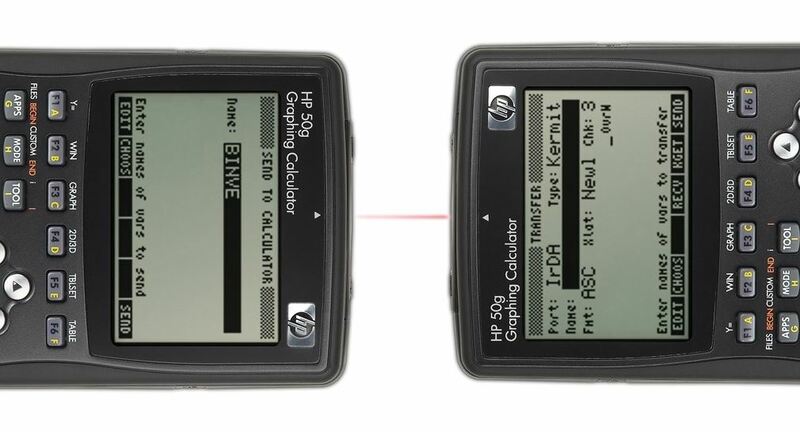 The HP 50G Graphing Calculator has a striking similarity to TI’s version. For most, this is a good thing calculators are something functional, and any change in design is only going to make it harder to go from one platform to the other. That being said, it is a little more reserved visually compared to the other calculators. With a matte black plastic casing, the only unique visual element on the calculator is the gently tapered bevel around the interface. But looks aren’t the important thing, it’s what’s inside that counts. Despite being more affordable than the TI calculator, the hardware is actually much more powerful. It runs on a 75 MHz ARM processor, allowing it to complete complex calculations at lightening speeds. ARM programs aren’t quite a simple as the TI ones, so they’ve bumped the flash ROM to 2 MB and the memory to 512 KB. On paper, these numbers are much larger. But in the real world, they’re roughly equivalent. The advantage is that this platform is much easier to develop for. Although it’s still relatively new, we can see many developers writing programs the HP in the near future. If you’re concerned about the lack of internal space, the SD card slot will quickly alleviate your concerns. There are other areas where HP has made a small improvement. The display, for example, packs a few more pixels at 131×80. It’s slightly wider in terms of aspect ratio than the TI, which we find lends itself well to most graphs. Although HP doesn’t take the same “educational” approach to their calculator software, theirs is much more functional. The included software has over 2300 built in functions, tackling all kinds of problems from calculus to algebra and more. There are almost too many functions to list, and this alone puts it more in the class of the TI-89 plus, a calculator that is occasionally required for high level university courses. Chances are, you won’t use half of the programs on this calculator. However, it’s “all in one” approach to software development means that this is something that can last you a very long time. Which Graphing Calculator is Right for Me? “Graphing” doesn’t just refer to a specific function, but a broad range of calculators each with their own unique features. What works for one person may very well not work for another. That’s why it’s very important to consider your needs and expectations when picking one up for yourself. If you’re purchasing your first graphing calculator for use in high school, the TI-84 Plus is your best bet. This is the most widely used calculator in schools, and the perfect way to ease yourself into more advanced calculations. Alternately, if you don’t really struggle with math and are looking for the best deal on the block, the HP 50G is an incredible value. With more advanced functions and software that is more powerful than the TI 84 Plus, this is a calculator that can last you a long time for a price you can afford. If you’re a gadget fan like we are, you might also want to consider the Texas Instruments Nspire CX CAS. When you compare your standard graphing calculator to a mobile phone, it’s clear that the technology is lagging a little behind. But with a color screen, rechargeable battery, and ARM processor, the Nspire series calculators are blurring the line between calculators and mobile devices.